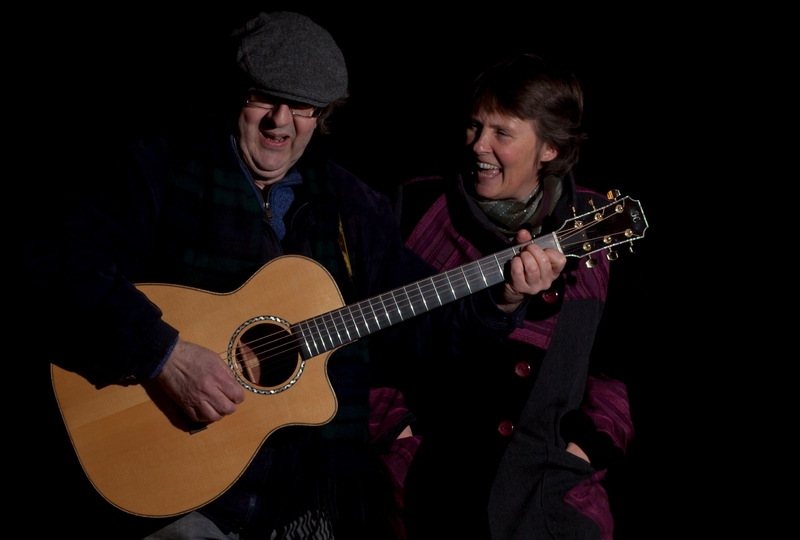 Looking forward to playing at Darlington Folk Festival on Saturday. Steve’s doing a guitar workshop at 12.00 then we perform in the afternoon concert in the Dolphin Centre between 1.30 and 5.00pm. So we’re having a relaxing Friday in Darlington. We’re going to a couple of the singaround sessions this afternoon then probably go and see Richard Digence in concert tonight. It’s trying to snow but pathetic attempts and melts as soon as it reaches the ground so it shouldn’t affect the festival. Thoroughly enjoyed doing our first guest night at Darlington Folk Club. Lovely warm welcome from the organisers George and Helen and the audience were great – lots of joining in singing in all the right places. Steve’s practising like mad in the other room at the moment – Flowers of Belfast at breakneck speed – sounds great! This entry was posted in Uncategorized and tagged Darlington, Darlington Folk Festival, Steve_Hicks_and_Lynn_Goulbourn by admin. Bookmark the permalink.